Kendall DCJR Soldotna is pleased to be currently offering this 2018 Ram 2500 Big Horn with 17,213mi. Sophistication & understated luxury comes standard on this Ram 2500 Big Horn. Well-known by many, the 2500 has become a household name in the realm of quality and prestige. Tackle any terrain with this 4WD Ram 2500 Big Horn. Off the road or on the parkway, you'll drive with confidence no matter the weather conditions or landscape. This is about the time when you're saying it is too good to be true, and let us be the one's to tell you, it is absolutely true. You can finally stop searching... You've found the one you've been looking for. Thank you for your interest in one of Kendall DCJR Soldotna's online offerings. Please continue for more information regarding this 2019 Ram 1500 Big Horn/Lone Star with 240mi. Your buying risks are reduced thanks to a CARFAX BuyBack Guarantee. Sophistication & understated luxury comes standard on this Ram 1500 Big Horn/Lone Star. Well-known by many, the 1500 has become a household name in the realm of quality and prestige. With 4WD, you can take this 2019 Ram 1500 to places roads don't go. It's all about the adventure and getting the most enjoyment out of your new ride. This vehicle won't last long, take it home today. Are you looking for something to pull that new fishing boat, horse trailer, or toy hauler, but you don’t have a new Ram truck in the budget? 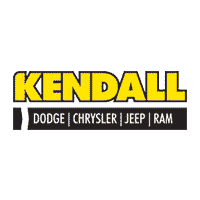 Shop our inventory of used trucks at Kendall DCJR of Soldotna. Our used truck dealership has a large selection of used trucks for sale in Soldotna and we’re sure to have a used pickup truck that fits your needs and budget. Contact us online or visit us at 44055 Sterling Hwy Soldotna, Alaska 99669 to shop our selection of used trucks. We also serve the Anchorage, Homer, and Seward areas. When you shop our catalog of used trucks for sale in Soldotna, we’re sure you’ll find the style and size of truck that you’re looking for. From heavy duty trucks down to midsize trucks, our used truck dealership offers Ram trucks as well as a selection from a variety of automakers that include diesel trucks and 4×4 trucks. After you browse our inventory of used trucks, be sure to pay a visit to our Finance Center. You can save time before you get here and get a head start on the financing process by filling out our online finance application. Our financial experts can also help you get pre-approved for a Soldotna car loan and value your trade with a free car appraisal. No matter what kind of used truck you’re in the market for, Kendall DCJR of Soldotna is the used truck dealer that has something to fit your budget. Come by and let us help you find your next used truck for sale today.